Congratulations to Westmead Hospital which today celebrated 30 years of pancreas transplantation. It was great to see some of the original professors of the unit in attendance to celebrate the important milestone, including Miles Little. Well done also to Professor Jeremy Chapman and Professor Richard Allen, two of Transplant Australia’s board members, who have been integral to the successful pancreas transplantation program in Australia. 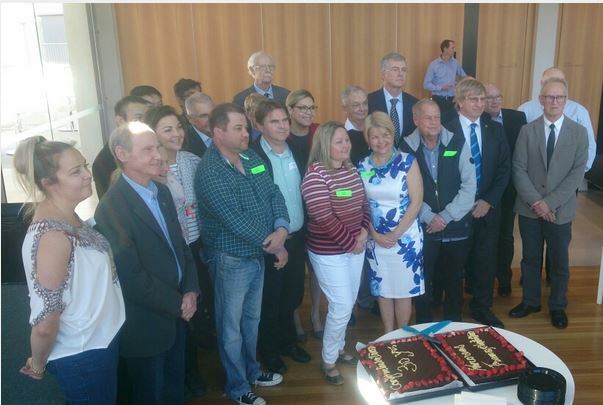 At the celebration were 20 of the 499 Australians who have received a new pancreas at Westmead over the past 30 years. There was a small speech and a birthday cake was cut. It was wonderful to hear from both patients and doctors associated with the program.